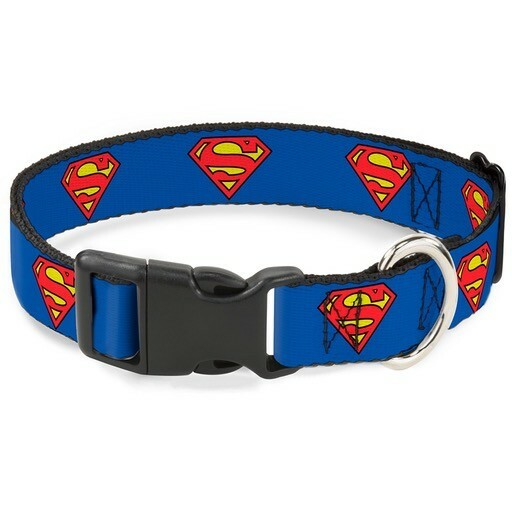 Dog & cat Superman Shield Collar - Small - Rick's Pet Stores Inc.
Superman Shield Collar - Small Personalise your canine with the exclusive Superman Shield Collar by Buckle-Down! Let your best bud show off your favorite character created with durable and comfortable materials. The quick-release buckle fastens securely and makes attaching and detaching simple, while the sturdy loop allows you to attach your leash in confidence. Walk in style with this reliable, tough and trendsetting collar that defines you and your pet! 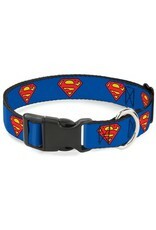 Complement this collar with the matching 6 ft leash for a complete set!